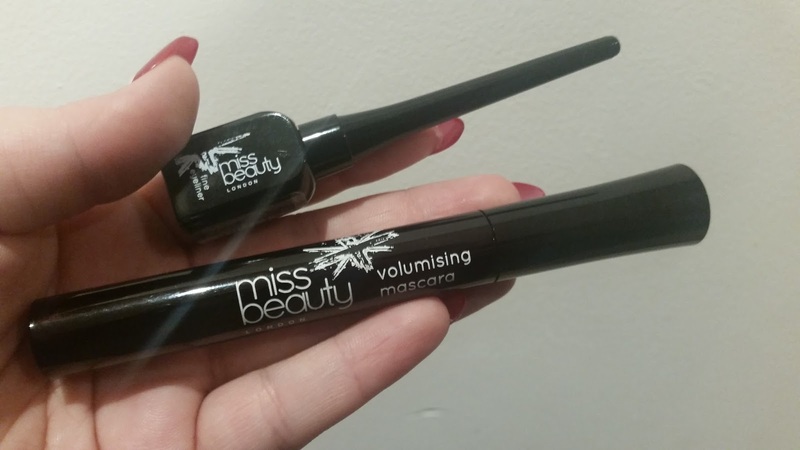 A fellow blogger got in touch with me a little while ago and asked me if I'd like to test a couple of products from Miss Beauty London. Miss Beauty London is Poundland's own £1 make-up range. I'll be honest, I love a good cheap eyeliner and mascara, and I've used Superdrug's MUA budget makeup range, but it never really occurred to me to purchase any beauty products from Poundworld. I saw an article in the Daily Mail (because yes, sometimes I read that if it's quiet at work #noshame) in which some of the Miss Beauty London range was compared to some of the high-end brands. It didn't seem to do very well, but you know what the Daily Mail is like, and I don't think it was given a fair chance. The Miss Beauty London range includes 21 shades of lipstick, 12 shades of lip glass, 55 nail polishes in a variety of shades, 3 different types of mascara, concealer, foundation, and bronzer. Phew -all of those for £1 each! It's a bit of an all rounder! I've been using the mascara and eyeliner for a few days now, and so far, so good. The mascara is very basic, perfect for day-to-day wear. It isn't very volumizing, as it claims to be, but it does give me a bit of extra length in my lashes. In all honesty, if you're looking for really thick, false lash effect mascara, this isn't going to deliver. Of course, you're going to pay a lot for that. However, it is a perfect budget mascara. 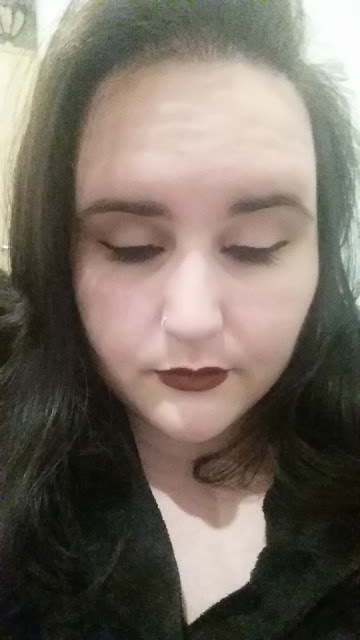 The eyeliner is nice and dark and is very long lasting. 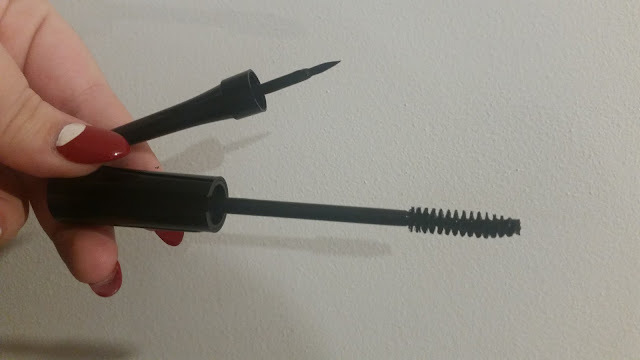 I normally use MAC's Fluidline gel eyeliner, which I love, but it is a bit of a pain having to carry a brush as well as the pot of eyeliner. The applicator allows for precise and thick lines. It only took me two attempts at my eyeliner using this, as opposed to my normal five. There is a very decent amount of product in the eyeliner pot, and definitely worth the £1! If you fancy trying out any of these products, which I definitely recommend you do, they are exclusive to Poundworld. They're very well suited to students, people (like myself) trying to stick to a strict budget but just can't help themselves, or to any money savvy bargain hunter. You can find Miss Beauty London on Twitter, or you can view their full range on the Poundworld website.